Germs are spread particularly quickly through the hands. Protect yourself and your family at home and on the go. 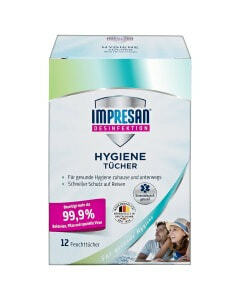 The IMPRESAN Hand Sanitiser Gel eliminates more than 99.9 per cent of specific bacteria, fungi, and viruses. 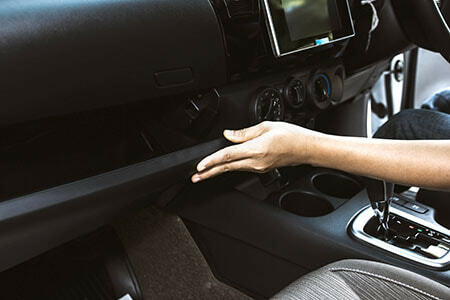 Germs spread easily from hand to hand—through direct contact or via objects that are touched by a lot of people. With the IMPRESAN Hand Sanitiser Gel, you can ensure healthy hand hygiene even without water. The gel turns to liquid in your hands, rubs in easily, and is refreshing. Skin compatibility is dermatologically confirmed. The handy bottle fits in any pocket or bag. So you always have the gel at hand and can use it to disinfect your hands from time to time or additionally after washing your hands. The Hand Sanitiser Gel is bactericidal, yeasticidal, and even offers limited virucidal properties. For reliable hygiene, observe the application time of 30 seconds. of specific bacteria, fungi, and viruses*. For hygienically clean hands—no matter where you are. The little bottle fits in any pocket or bag and is therefore always at hand. For quick hand disinfection from time to time.